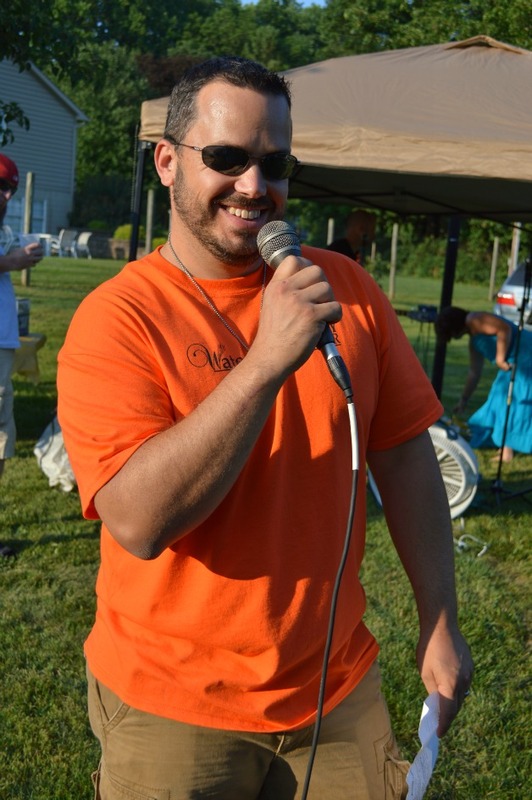 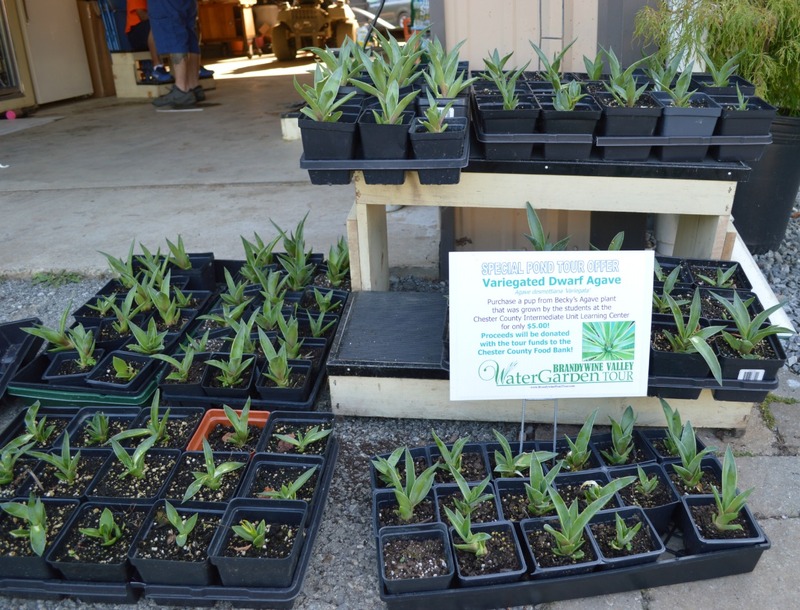 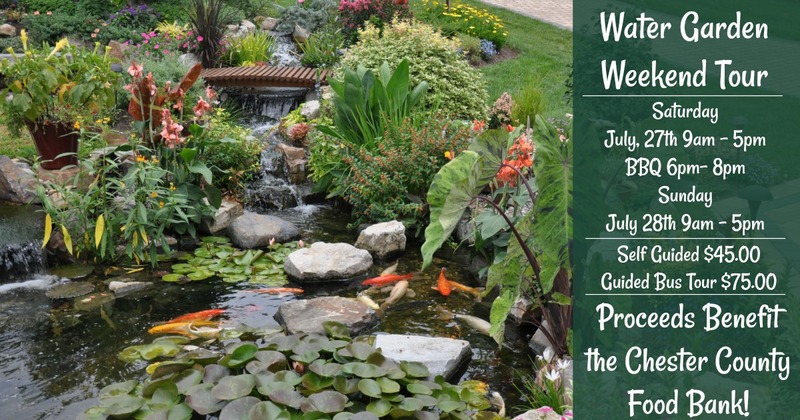 Find out when the next Water Garden Weekend Tour will be held. 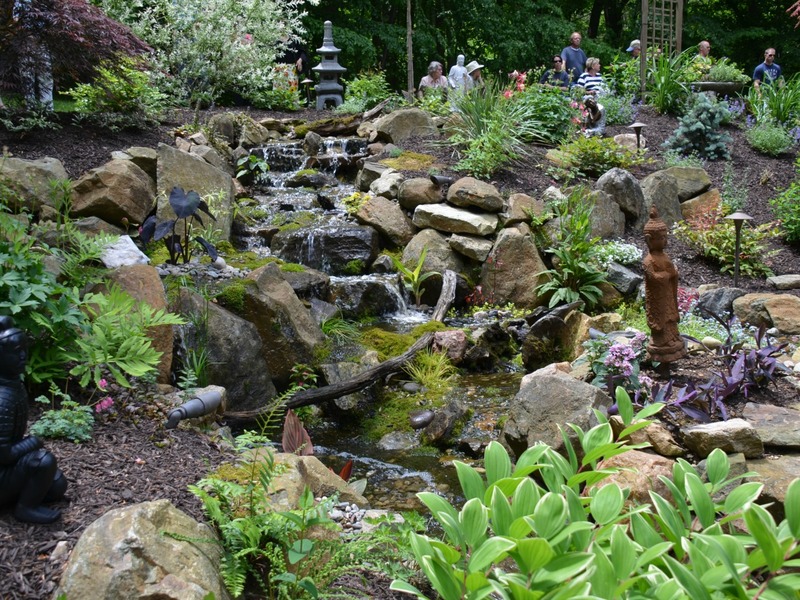 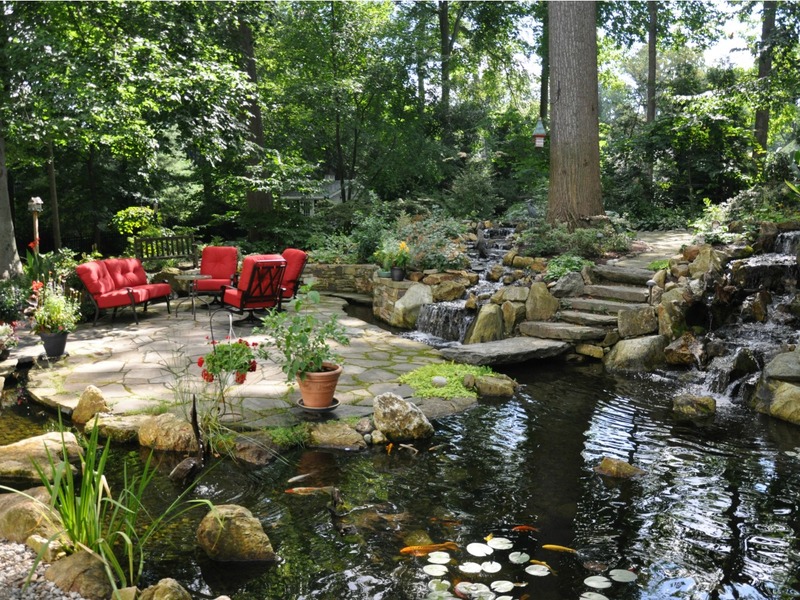 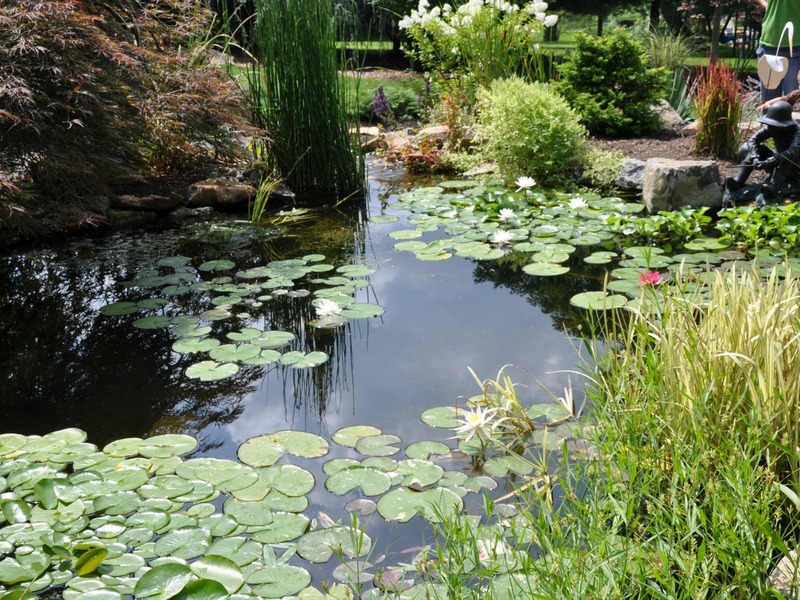 Over the years, the (Brandywine Valley) Water Garden Weekend Tour has grown into the premier water garden event of the summer. 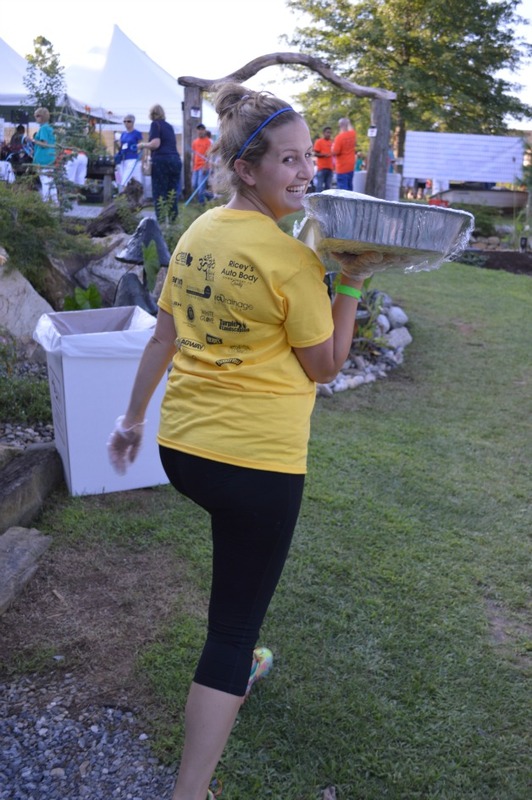 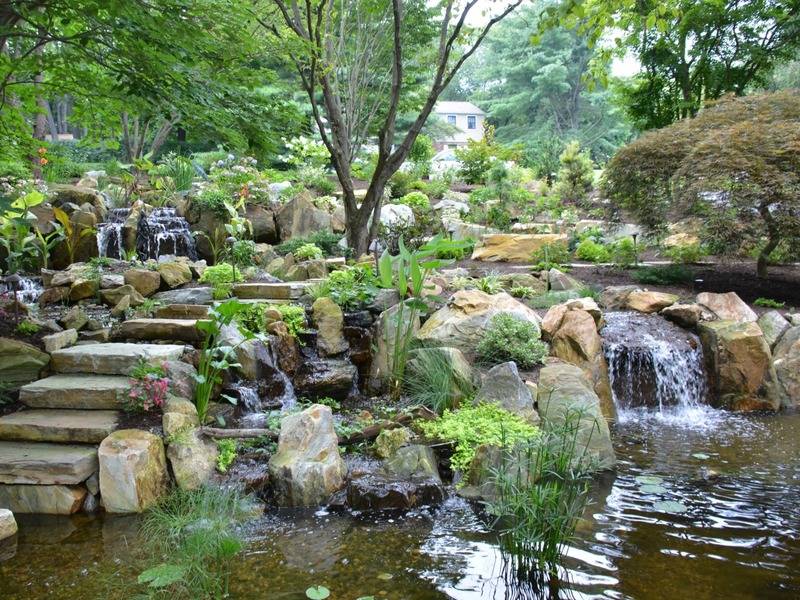 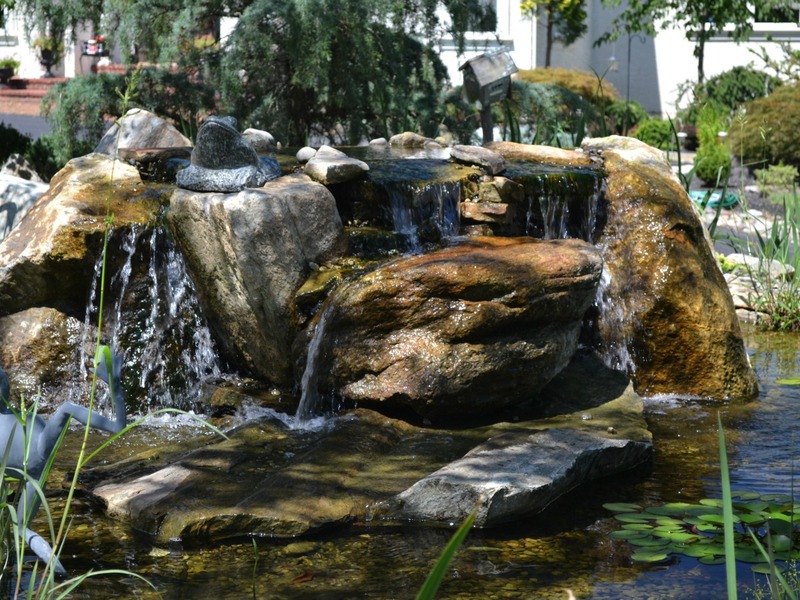 Originally conceived as a way of promoting water gardens while raising money for worthy local philanthropic organizations, the tour has grown from a small one day tour to its current size running over two days, encompassing over 35 different water features and highlighted by a barbecue event and auction. 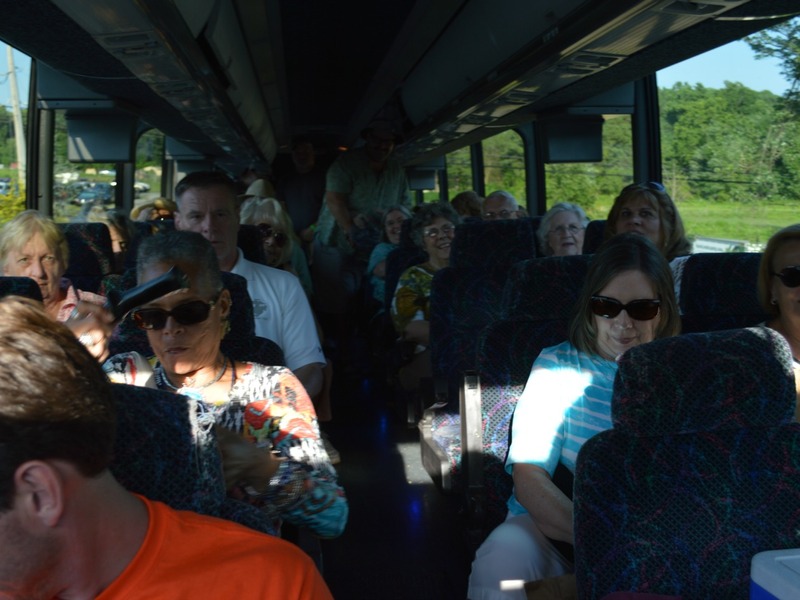 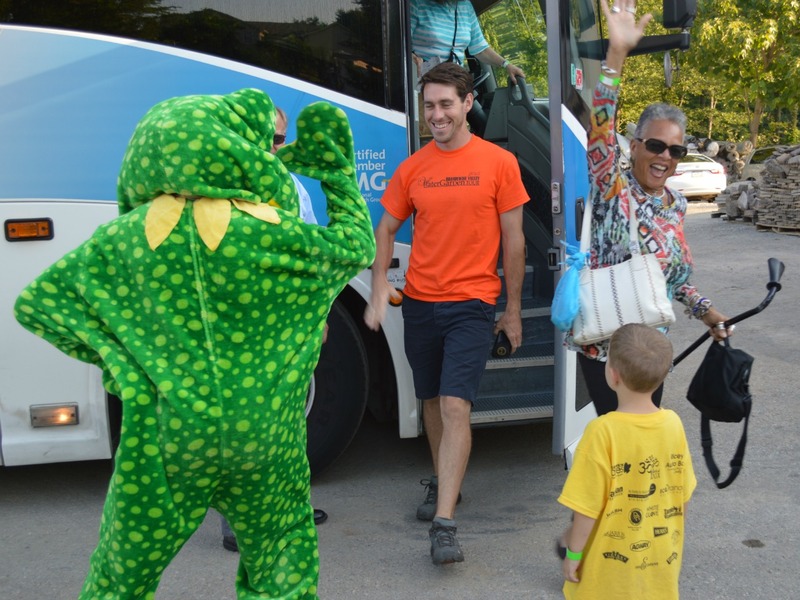 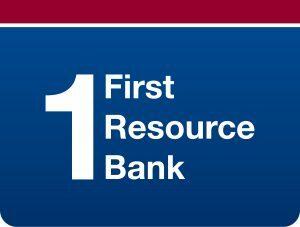 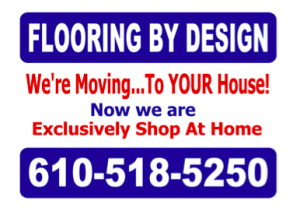 Back in 2009, when Senator Andy Dinniman suggested that the tour group direct their efforts to support the Chester County Food Bank, the idea found fertile ground and quickly took root. 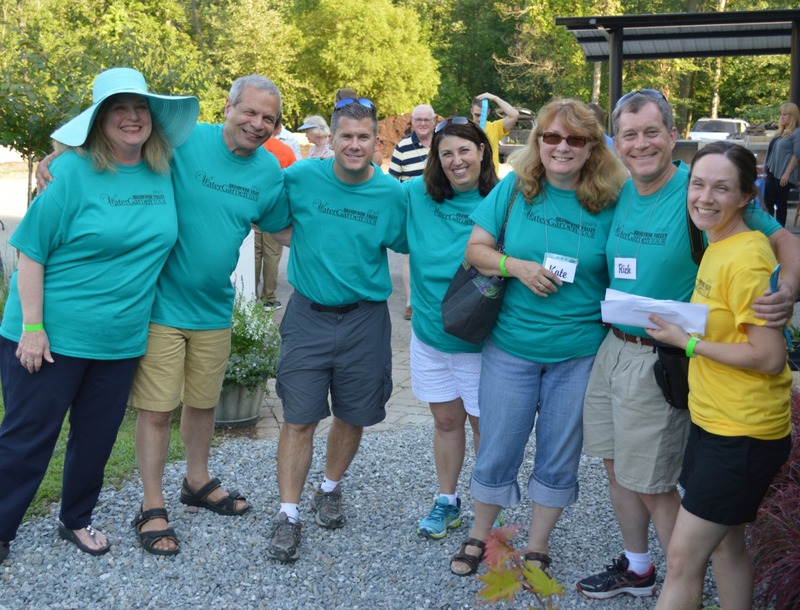 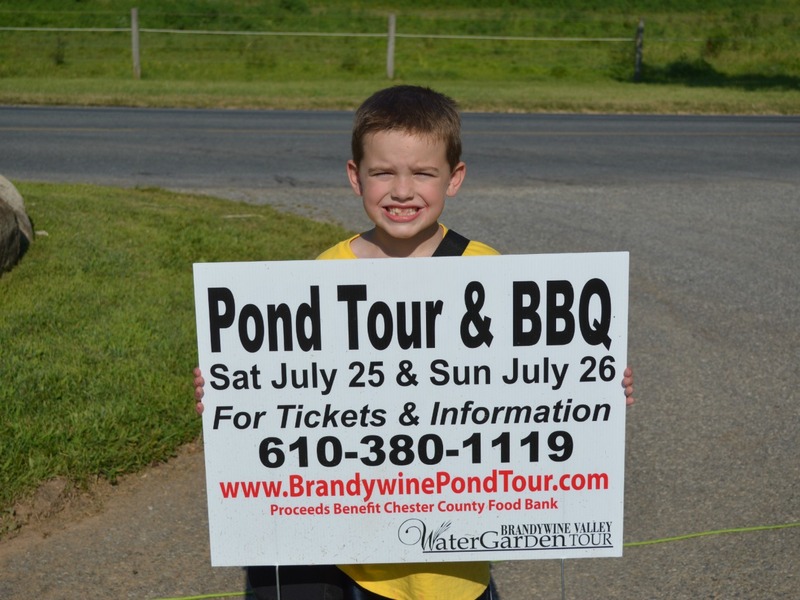 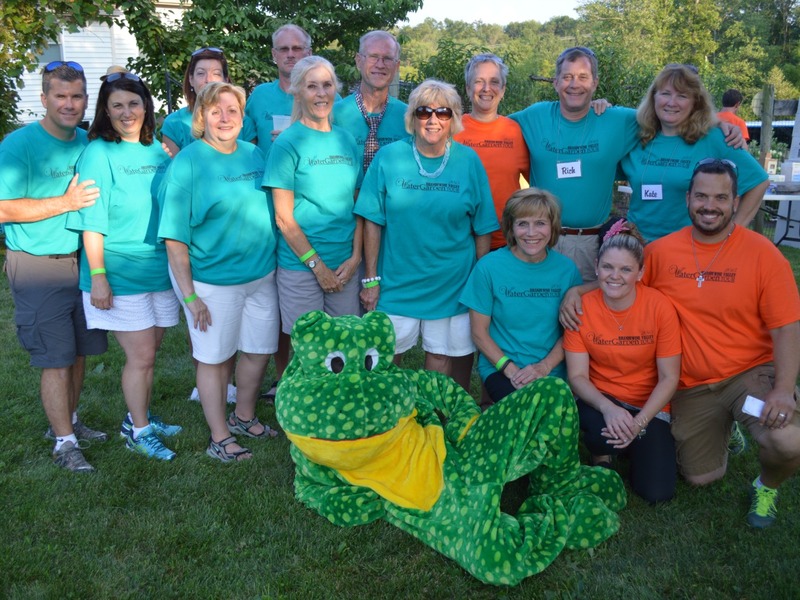 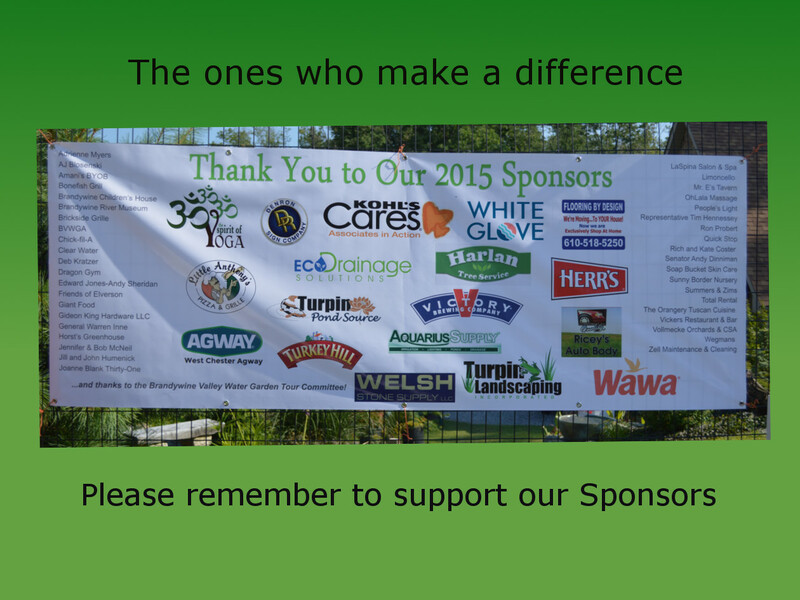 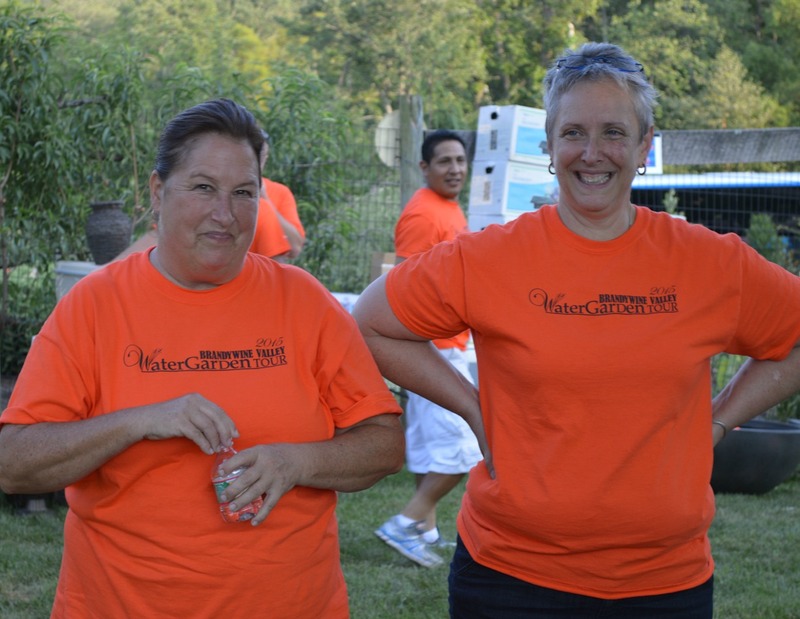 The Chester County Food Bank’s mission of providing food to those in need right here in our community blended well with the Brandywine Valley Water Garden Tour Committee’s desire to give back to the local community. 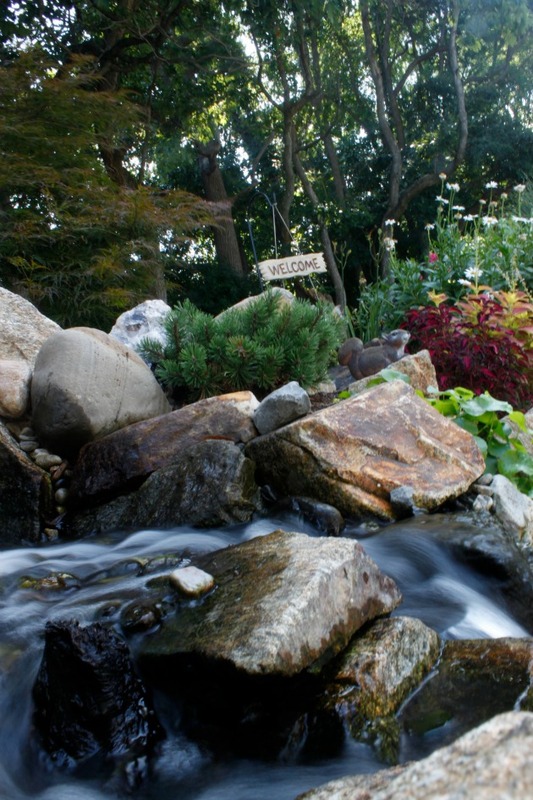 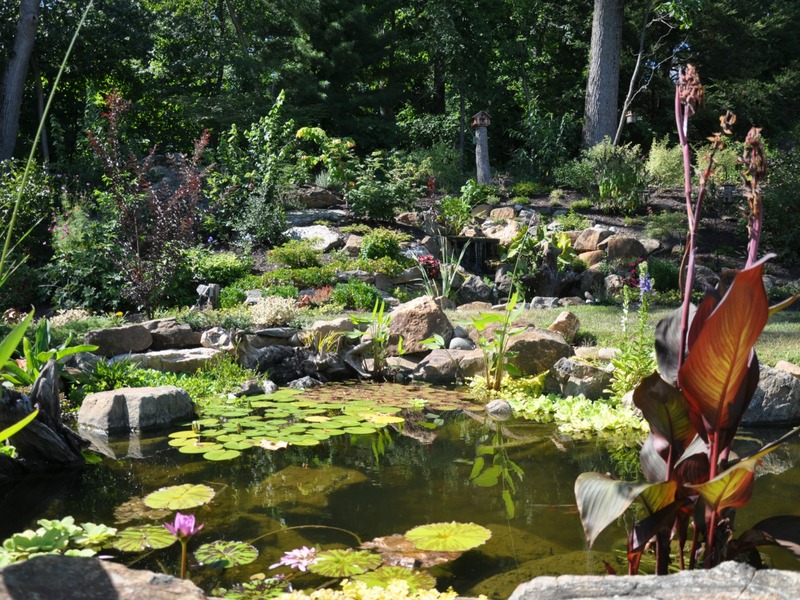 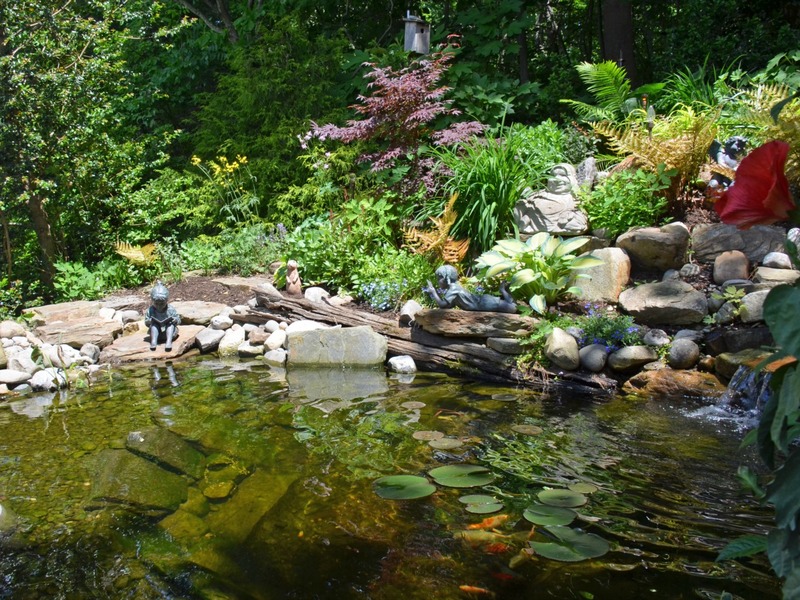 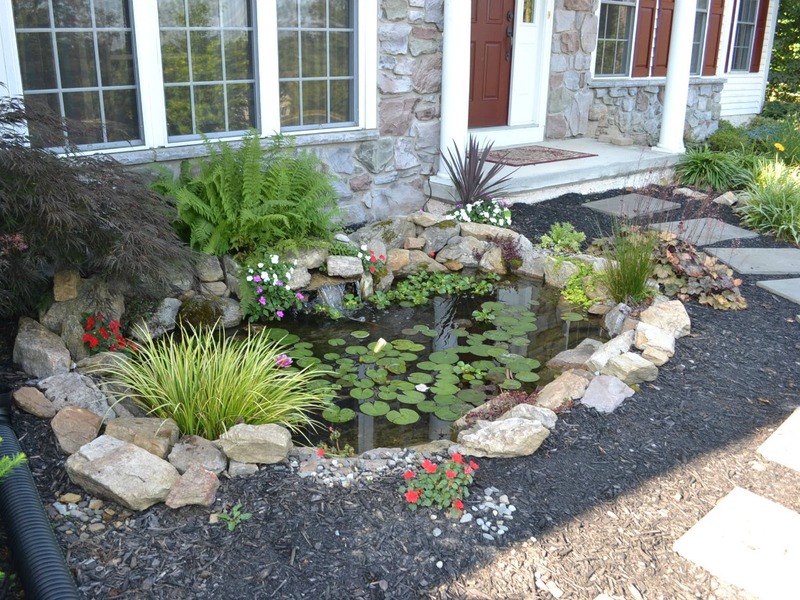 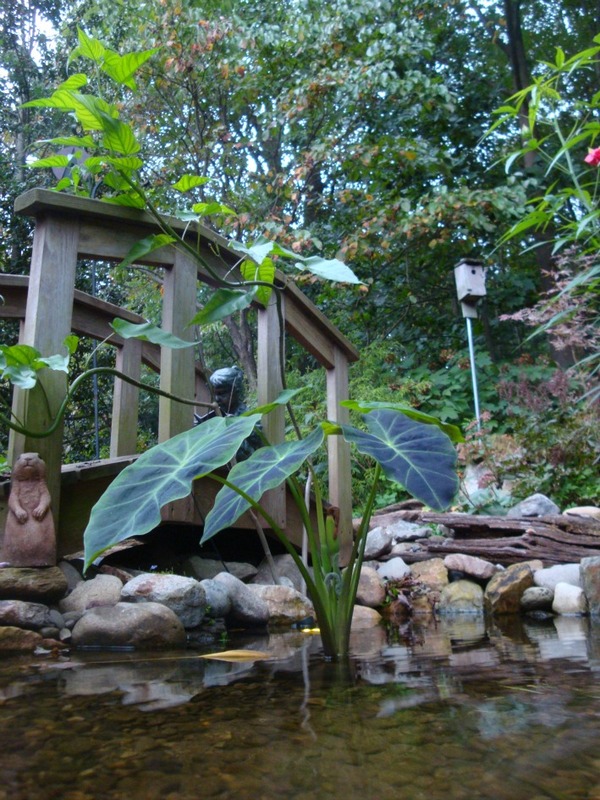 The Water Garden Weekend Tour offers the opportunity to visit the homes of local residents and neighbors who have created beautiful waterscapes in their back yards. 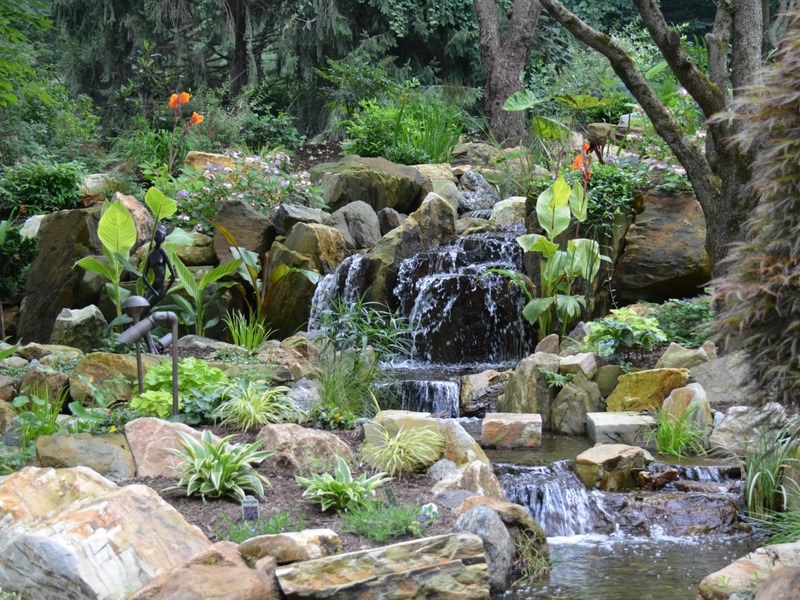 The two day self-guided tour features a large array of different water features. 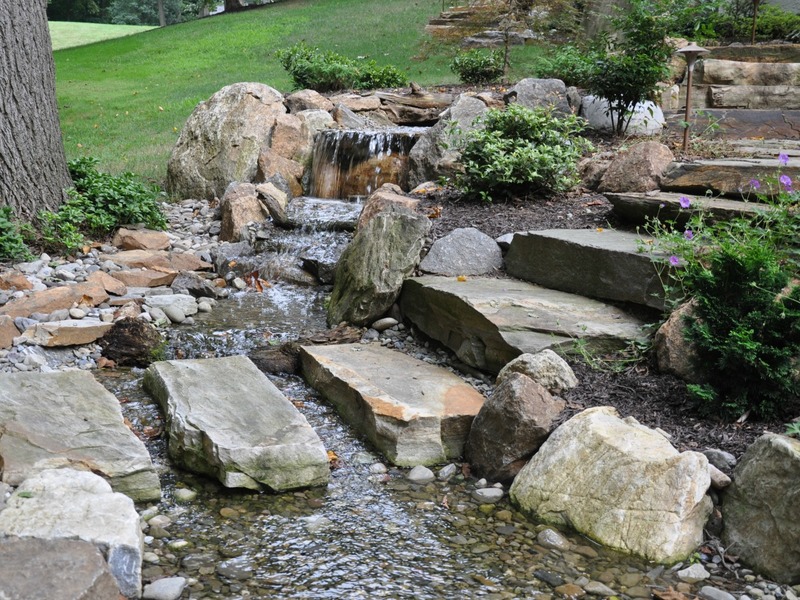 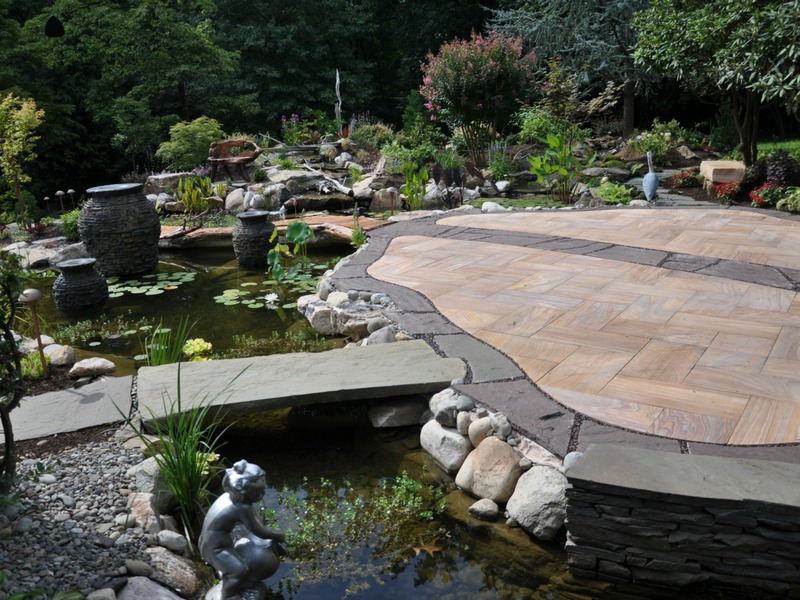 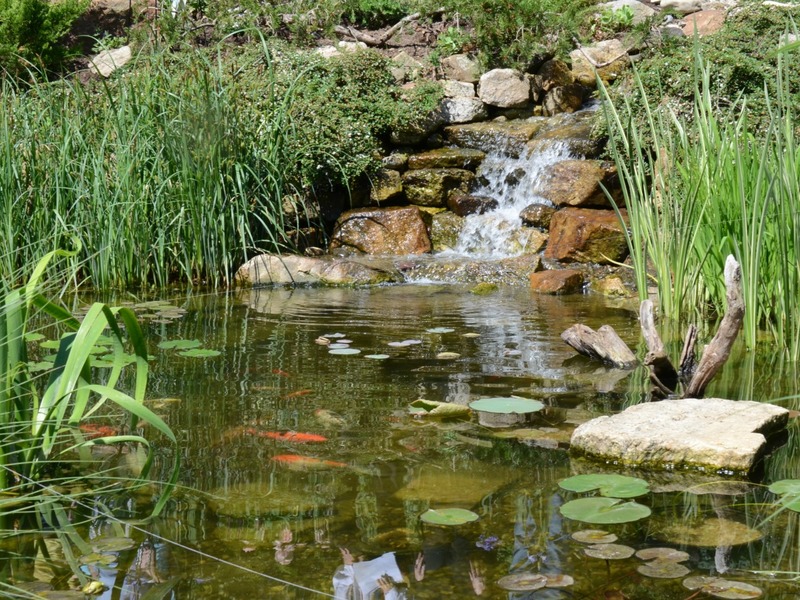 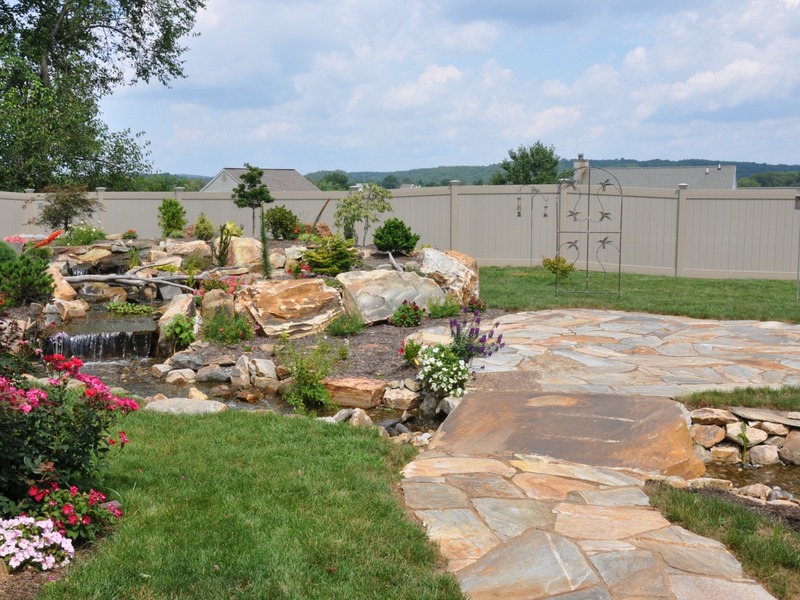 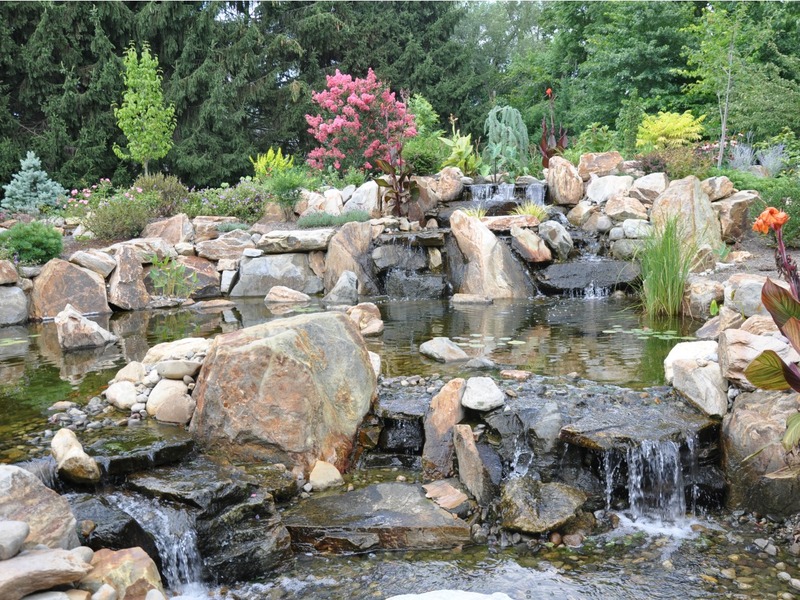 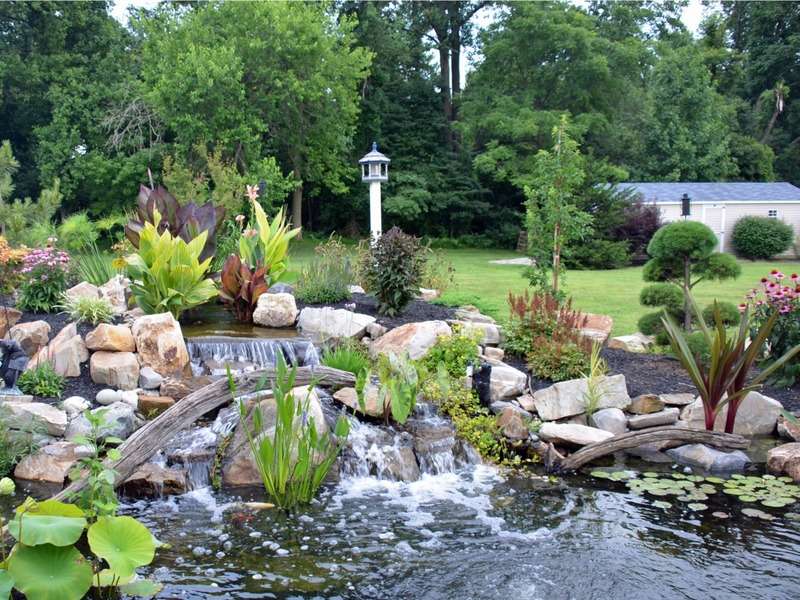 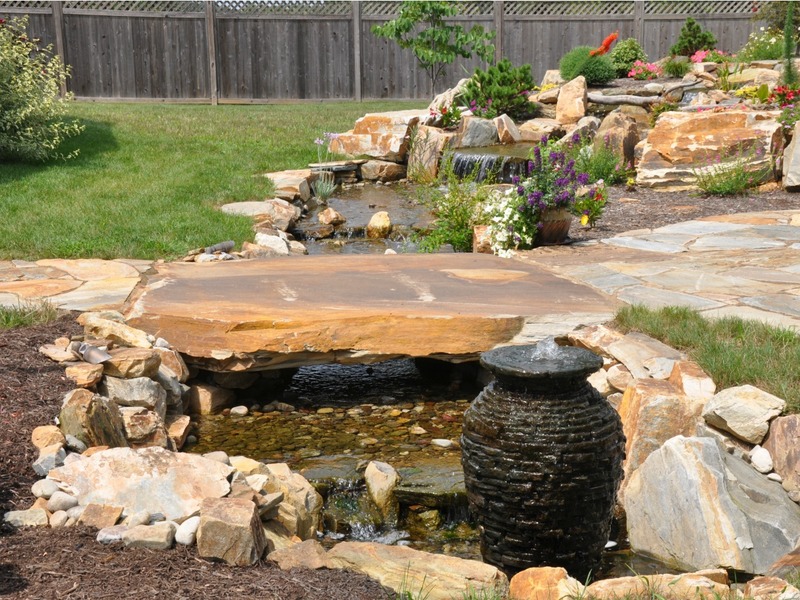 Included in the mix are self-contained ponds with streams and water features ranging in size from small to expansive as well as water-falls without visible ponds. 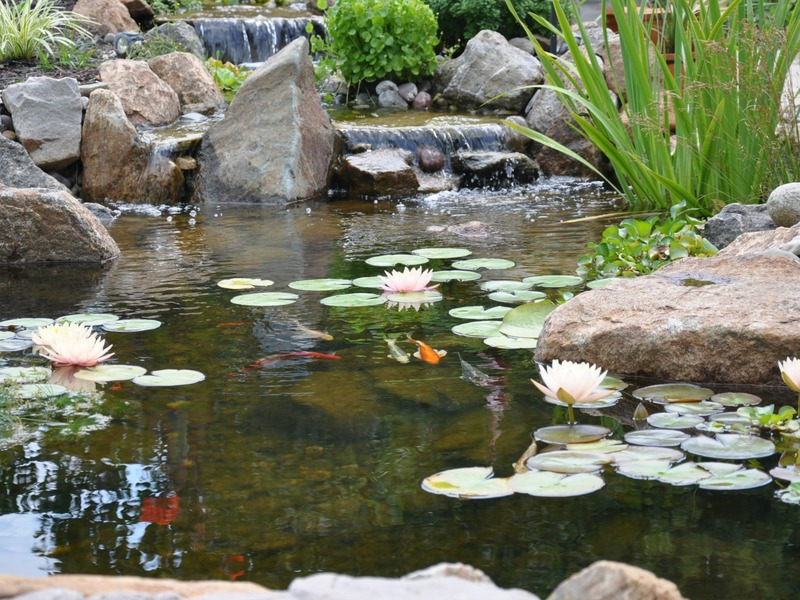 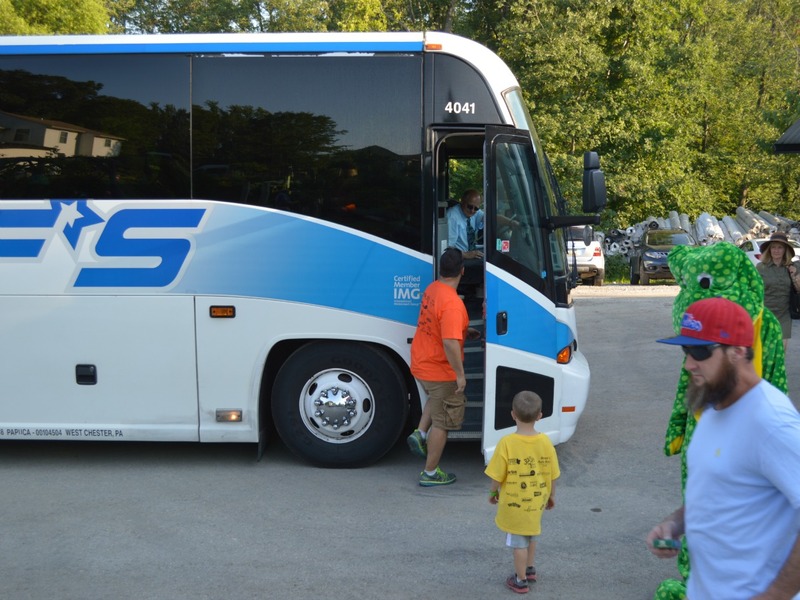 Beautiful landscaping, incredibly colorful flowers, arrays of dazzling water-falls and friendly fish of all color, shape and sizes await those who visit just a few of the many homes featured on the Tour. 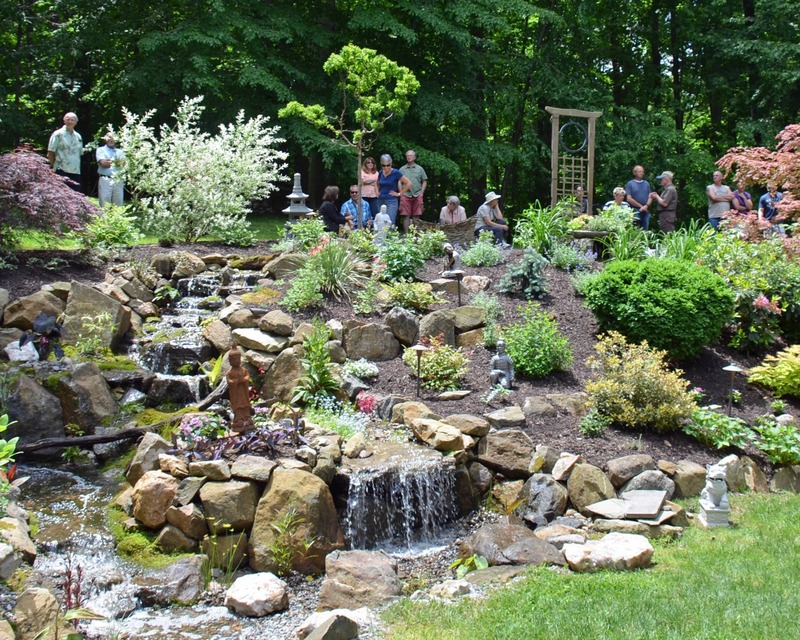 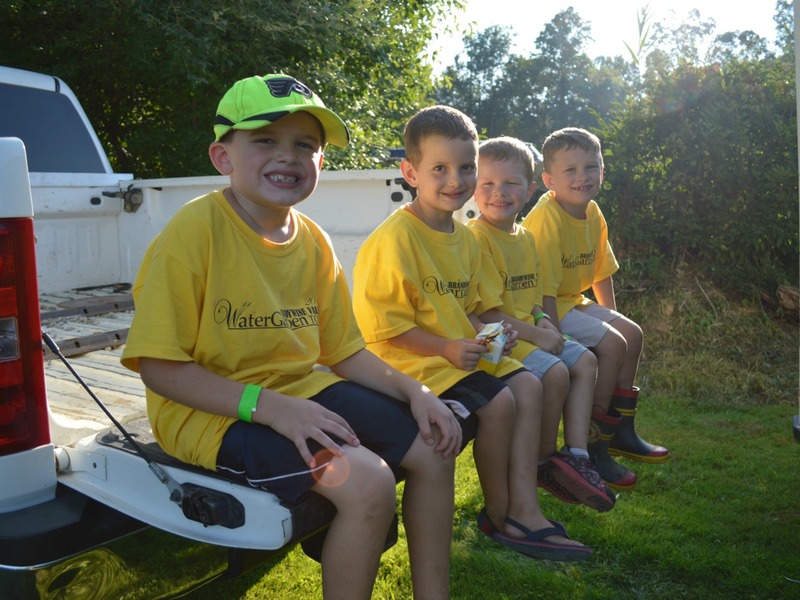 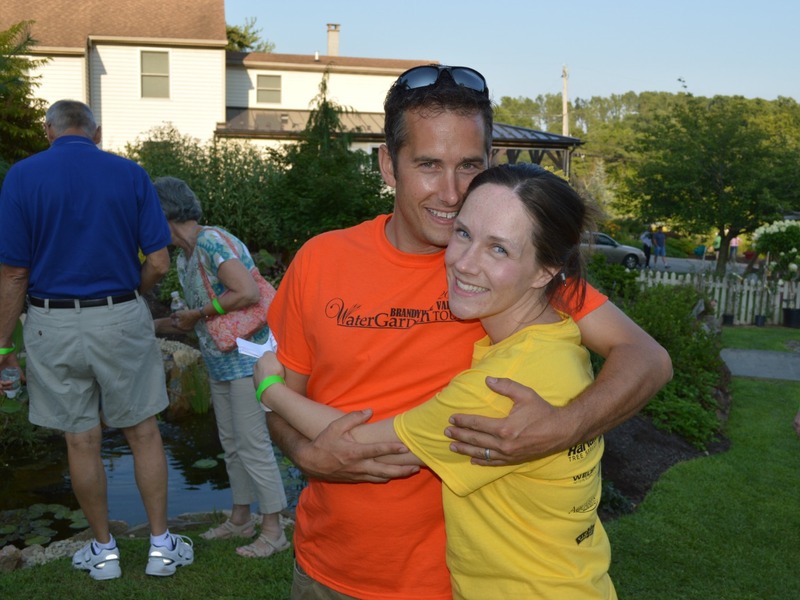 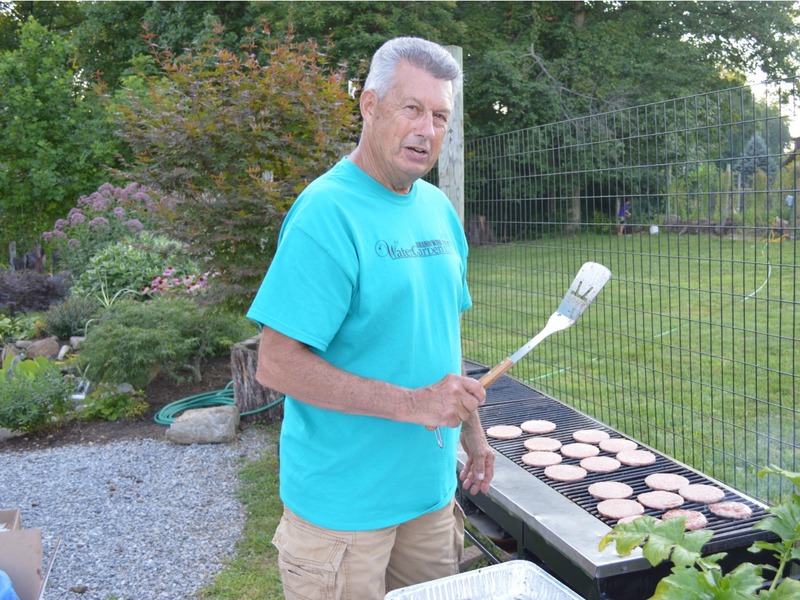 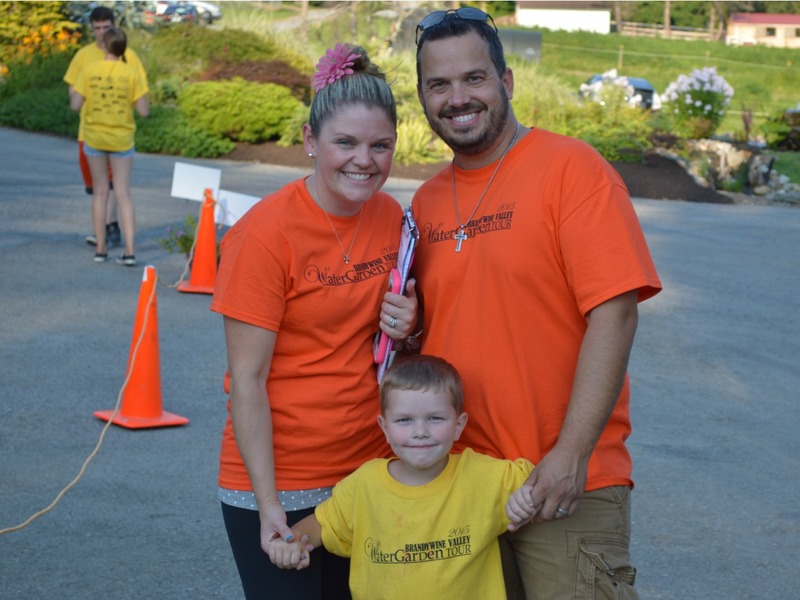 Saturday evening, all the tour participants along with all the homeowners who have opened their yards and water features in support of this premier event are invited to gather at Turpin Landscaping in Martins Corner for the Tour’s Barbecue and Silent Auction. 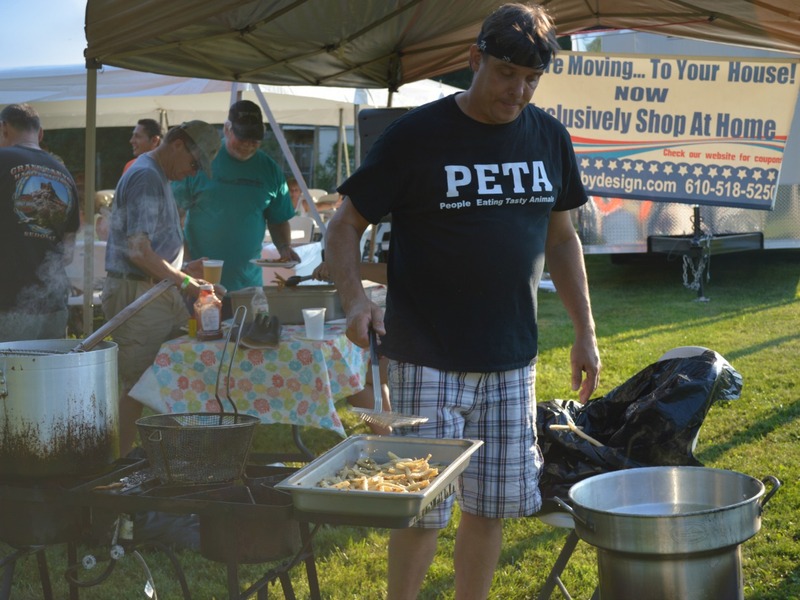 Supported by many local businesses including Wawa and Kohl’s, attendees have the opportunity to browse through and bid on the many items offered during the Silent Auction. 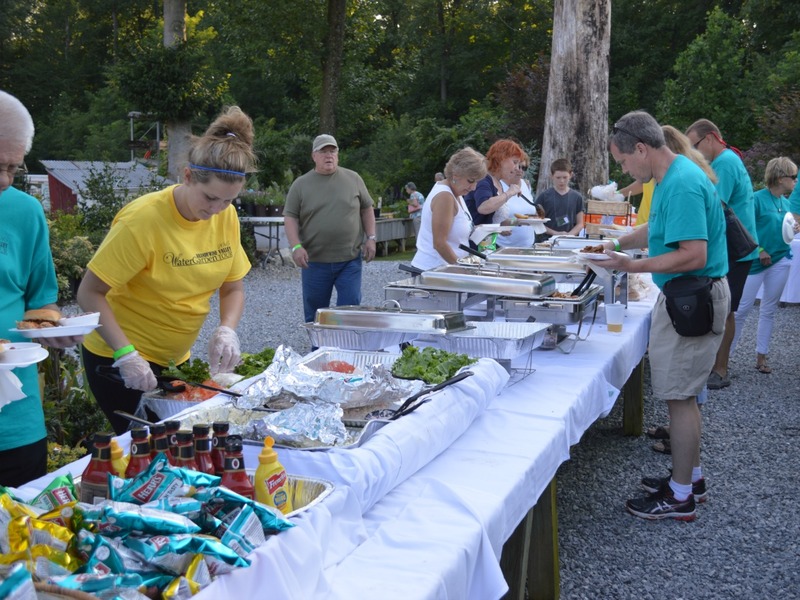 In addition, there is also a live auction which features a number of unique items and packages of goods that adds to the excitement of the evening. 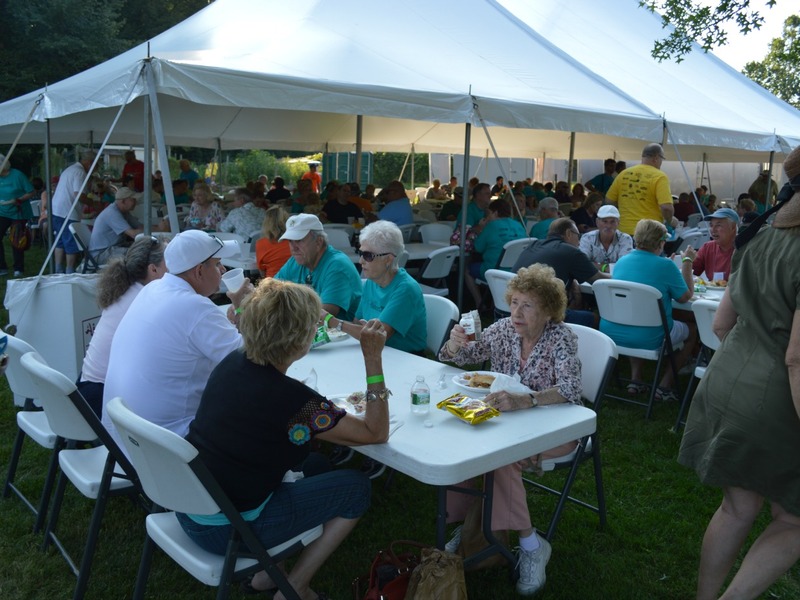 Great food, live entertainment and a party atmosphere all help to make this the premier event of the Tour.